Late February to early March were months full of controversial issues. For example, on Tuesday, March 5 George Zimmer­man’s attorneys waived his right to a Stand Your Ground hearing that was scheduled to take place on April 22. 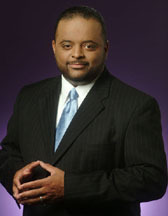 While the rest of the media was shocked, CNN Political Analyst, Roland Martin was not, and said he’s “not buying for one second” that Zimmerman has a strong self-defense argument. It is not shocking or surprising because George Zimmerman’s attorneys think, “well we believe we have a strong self defense argument” and I’m not buying that for one second. I think that they clearly understood that they were taking a huge chance by having the Stand Your Ground hearing…And also, they would’ve had to lay out a significant part of their case had they gone forward with a Stand Your Ground hearing and so I think with all of those factors they probably said it makes good for us to pull back onto this thing and focus on the June 10th trial, which the last thing you want to do is risk all that negative publicity and now all the sudden if you can’t even prove Stand Your Ground, now you’re really at a disadvantage moving forward in the trial. In Sanford, FL on February 26, 2012, unarmed teenager Trayvon Martin was shot and killed by neighborhood watch captain George Zimmerman in what Zimmerman claims was self-defense. He says he operated under Florida’s “Stand Your Ground” law, which says a person may use force in self-defense when there is reasonable belief that the other person is a threat. When asked on challenging the Stand Your Ground law, Martin says the law is challenged all the time and that it should be thrown out. There are numerous examples of individuals who have asserted stand your ground but the judge threw it out. The judge said, “no that’s not the case.” Now, the problem is that you will hear prosecutors, you hear law enforcement personnel say it makes it difficult for them and that’s one of the reasons why the law quite frankly should be thrown out because there’s so many restrictions faced upon law enforcement personnel the moment somebody tries to invoke stand your ground. That’s where the difficulty comes in. On February 27, 2013, the Supreme Court heard a Voting Rights Act challenge from Shelby County, Alabama v. Holder. More specifically, Section 5 of the Voting Rights Act is the section under question. Martin explains what Section 5 of the Voting Rights Act means. Practically what it means is that, when there’s a voting change in those locales, it means that a voting advocate would have to file a lawsuit to prevent it from going forward whereas right now, the difference is that the moment a voting law is changed, the department of justice has to pre-clear it…What it also means is that with people who are trying to suppress the vote, you’re making it a heck of a lot easier for them to do so except now they don’t have to worry about the Department of Justice looking over their shoulder. That’s one of the reasons why Shelby County has filed a lawsuit. They don’t like the fact that the Department of Justice is and everybody is looking at every single thing they do, which most likely is a good thing though. On Wednesday, February 27, 2013 Justice Antonin Scalia made a comment that the continuation of Section 5 of the Voting Rights Act is a “perpetuation of racial entitlement” in his statement here: “I think it is attributable, very likely attributable, to a phenomenon that is called perpetuation of racial entitlement. It's been written about. Whenever a society adopts racial entitlements, it is very difficult to get out of them through the normal political processes.” Martin says that Justice Scalia’s comment is beyond offensive. The comments made by Antonin Scalia are an abomination because to sit there and to make such a ­ridiculous claim is beyond offensive. And then to sit here and say that “Oh, the White legislators who voted to stand for Voting Rights Act that they did so because they are afraid of being called racist or bigots yet these are the same people we have no problem opposing all kinds of other laws. They had no problem opposing Affirmative Action, no problem opposing the Violence Against Women Act, no problem opposing all those other laws. But all of the sudden, now they’re scared on this one.